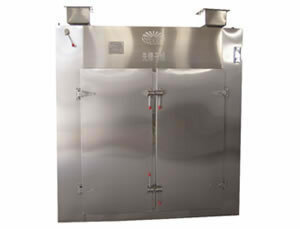 The Hot Air Oven Drying Equipment is suitable for drying dehydration of raw materials in the fields of pharmaceuticals, chemicals, foodstuff, subsidiary agricultural products, aquatic products, light industry and heavy industry. Some of the products it is used to produce include Chinese traditional medicine, herbal extracts, tablets, granules, powder, packing bottles, pigment, dehydrated vegetables, dried fruit and melon, plastic resin, electronic elements, and baking varnish. 1. 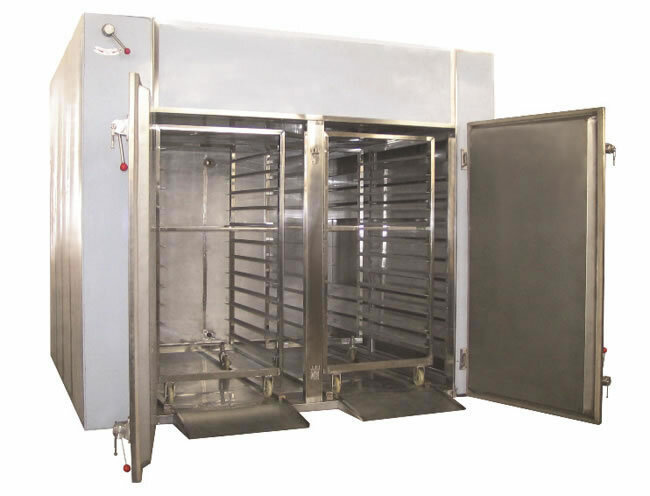 Hot air is circulated inside the oven drying equipment to ensure a high drying efficiency and energy savings. 2. The dryer's enhanced ventilation and adjustable air distributor provide uniform drying. The heat sources which can be used are steam, electric, hot water, and more. 3. 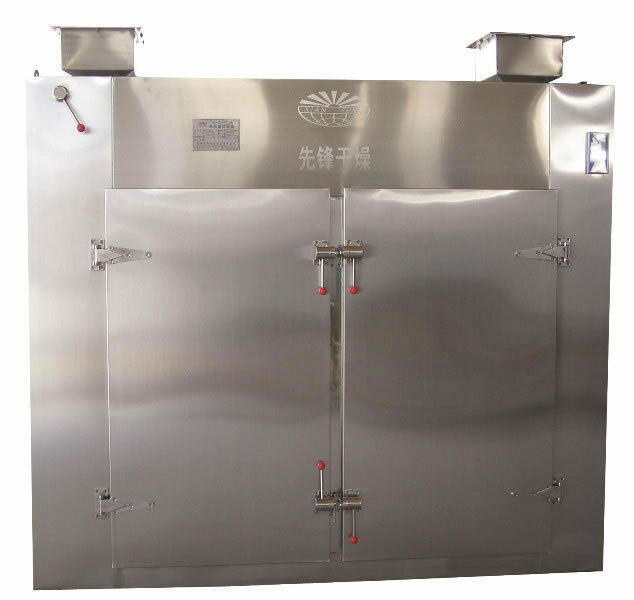 The hot air oven drying equipment has low noise and reliable operation, the temperature can be controlled automatically, and it conforms to GMP requirements. 4. With a wide field of applications, it can be used on many kinds of raw materials, making it a comprehensive dryer.